WWE News: WWE Legend reveals his future with the company; Will he wrestle again? Hulk Hogan's future is definitely with WWE! Ever since he returned to host the Crown Jewel event, everyone in the WWE Universe has been wondering what the future holds for WWE Hall of Famer and WWE Legend 'Hollywood' Hulk Hogan. 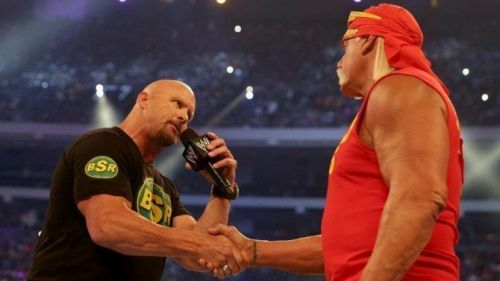 However, in a recent interview, Hogan revealed his future with the company. Hulk Hogan was forcibly retired from the WWE when he was caught up in a racism scandal, with WWE even removing him from their Hall of Fame. This lasted from 2015 when Hogan's contract was terminated until July 2018. As well as his televised appearance at the already controversial Crown Jewel PPV in Saudi Arabia, Hogan also appeared on an episode of Monday Night Raw to lead a tribute to the late 'Mean' Gene Okerlund who had passed away. Hulk Hogan addressed his future with WWE during an interview with the Tampa Bay Times and hinted that his future definitely lies with WWE, but he's not yet sure in which capacity he'll be there. As you can see Hogan hopes that he'll be active in whatever capacity he'll be back with WWE, and has even possibly hinted that he could wrestle again, despite all those surgeries. I'm still not sure how I feel about Hulk Hogan being back with the WWE given his past indiscretions, however, there's no denying that the man is synonymous with wrestling. Would you like Hogan to return with a full-time role in WWE going forward? Leave your thoughts in the comments section below! Opinion: Will The Undertaker Leave WWE?